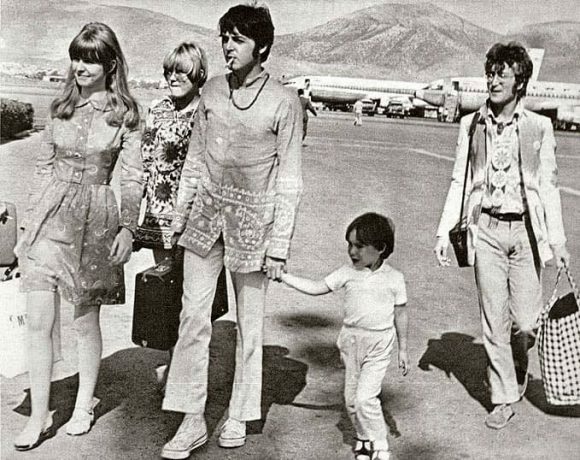 John Lennon, his wife Cynthia and son Julian, along with Paul McCartney, Jane Asher, Pattie Harrison's 16-year-old sister Paula Boyd, Mal Evans and NEMS employee Alistair Taylor all began a journey to Greece on this day to look at a set of Greek islands The Beatles were considering buying to live on. Alex invited John on a boat holiday in Greece, and we were all then invited. There was some story of buying a Greek island or something. It was all so sort of abstract but the first thing we had to do is go to Greece and see if we even liked it out there. The idea was get an island where you can just do what you want, a sort of hippie commune where nobody'd interfere with your lifestyle. I suppose the main motivation for that would probably be no one could stop you smoking. Drugs was probably the main reason for getting some island, and then all the other community things that were around then – 'Oh, we'll paint together. We'll do this. I'll chop wood. I think that if you're going to write a great symphony or you're going to rehearse the greatest string quartet in the world, it's fair enough to cut yourself off. It's just a practical matter; give yourself lots of time and if you're going to do that, then why shouldn't it be in Greece? It was a drug-induced ambition, we'd just be sitting around: 'Wouldn't it be great? The lapping water, sunshine, we'd be playing. We'd get a studio there. Well, it's possible these days with mobiles and ...' We had lots of ideas like that. The whole Apple enterprise was the result of those ideas. The Beatles had hired a luxury yacht, the MV Arvi, to take them to look at the islands, but it was delayed due to a storm off Crete until 25 July 1967. 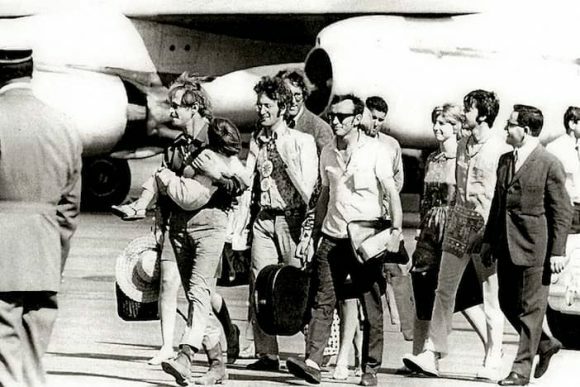 The group remained in Athens until its arrival, staying at the family home of Alexis 'Magic Alex' Mardas.